Looking for a weekend escape, relaxing holiday or some adventure in nature’s playground? Noosa has some amazing deals on offer designed to make you want to visit Noosa Now! Mantra French Quarter - 2 Night Escape in a one bedroom deluxe apartment from $192 per night, minimum two night stay. 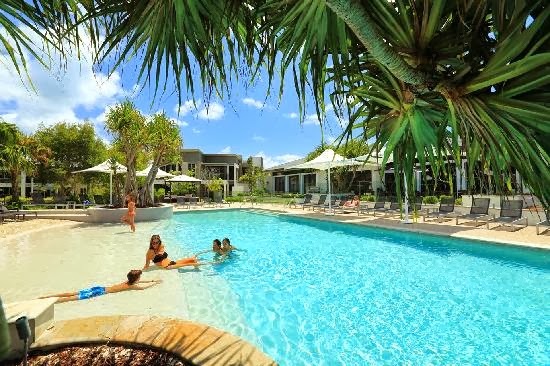 RACV Noosa Resort - from $196 per night including breakfast for 2. Available for auto-club members. Noosa Springs Resort - Noosa Springs’ Mid Week Getaway from $540 offer includes two nights accommodation in a two-bedroom ensuite apartment, twin share, including buffet breakfast daily plus a 2-hour spa passport experience (includes hydro-massage pool, infrared sauna, steam sauna and blitz shower) or 1 day of unlimited golf (includes motorised cart). Lake Weyba Cottages – Enjoy a triple escape with $150 off the third night staying in a luxury cottage. Australis Noosa Lakes Resort - Stay 4 and pay for 3 in a studio, one or two bedroom apartment. Peregian Springs Golf Club and Outrigger Noosa - Enjoy 5 star accommodation for two with breakfast at the Outrigger Noosa and enjoy one round of golf per person at Peregian Springs Golf Club from $275 per person. The Rise Noosa - Enjoy 3 night nights accommodation in a three bedroom apartment for just $599 [$80 surcharge for Friday and or Saturdaynights]. Free facial treatment enhancer – receive a free facial treatment enhancer at Ikatan Spa when booked with a massage or body treatment before 30thNovember. Book on 5471 1199. Escape to another world with a Cooloola National Park 4WD tour – quote ‘Noosa Now’ and enjoy 10% off any tour of the Cooloola National Park or Fraser Island with Dropbear Adventures. Book on 1800 061 156. For other great Noosa Now deals visit www.visitnoosa.com.au/now . Please note conditions apply and subject to availability on all offers.